The layout for the Waterfalls series was designed by Judy and Bradley Niemeyer. 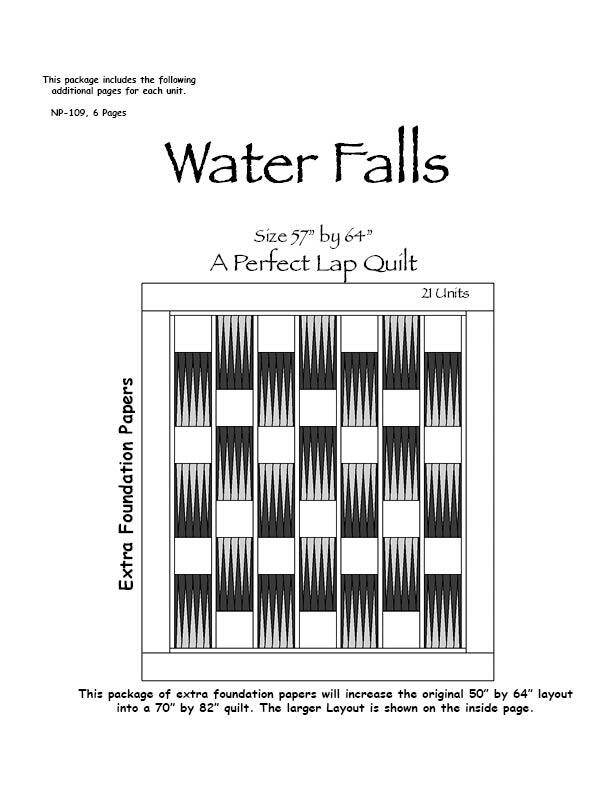 The block for the Waterfalls quilt was designed to teach a simple concept using two strips of fabric to create one very simple and appealing block design. This pattern includes, easy cutting instructions using 2-1/2″ by 42″ strips, and foundation paper. This quilt was designed for all skill levels making this a fun and easy quilt for any beginner or advanced quilter to make up in just a few days. A special thanks to Hoffman Fabrics of California for providing us with the fabrics to make the quilts shown on the cover page. Julie Olson McAuliffe Great colors! 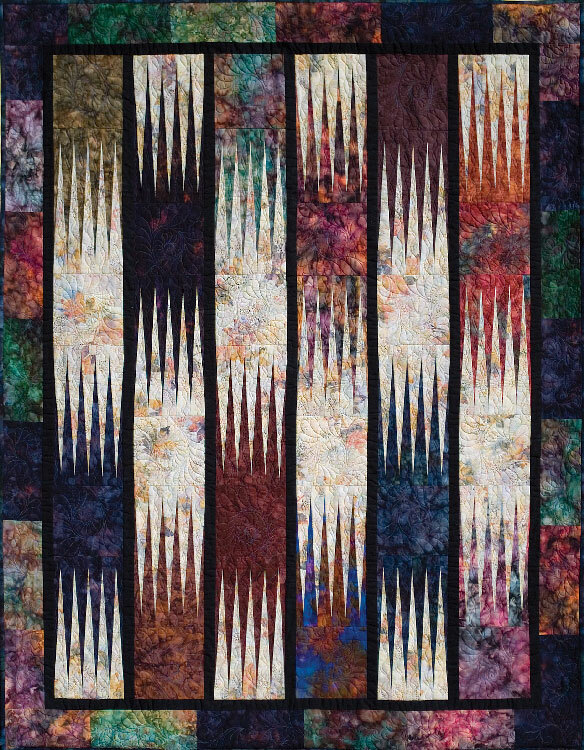 Waterfalls, Quiltworx.com, Made by CI Gwyn E. Campbell. Waterfalls, Quiltworx.com, Made by CI Victoria Johnson. Norma Hawkins McKinnon That I like. Waterfalls, Quiltworx.com, Made by CI May Gunter. 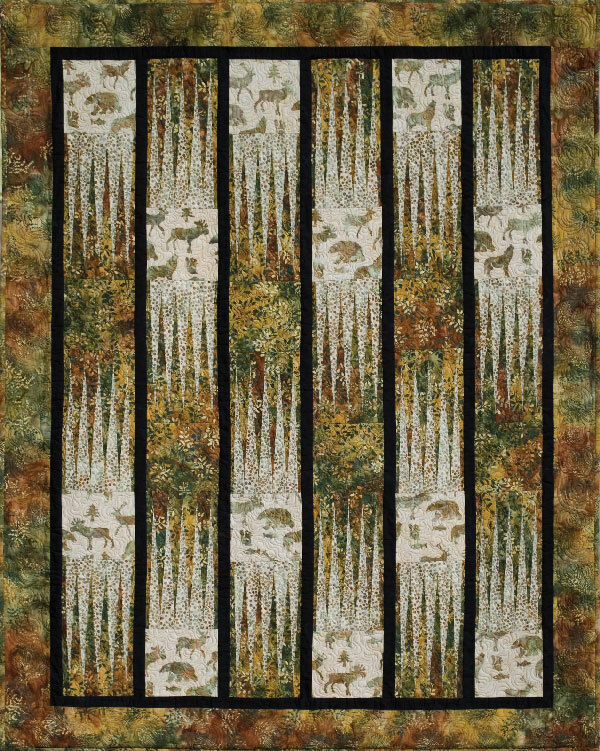 Waterfalls, Quiltworx.com, Made by CI Deborah Brizendine. 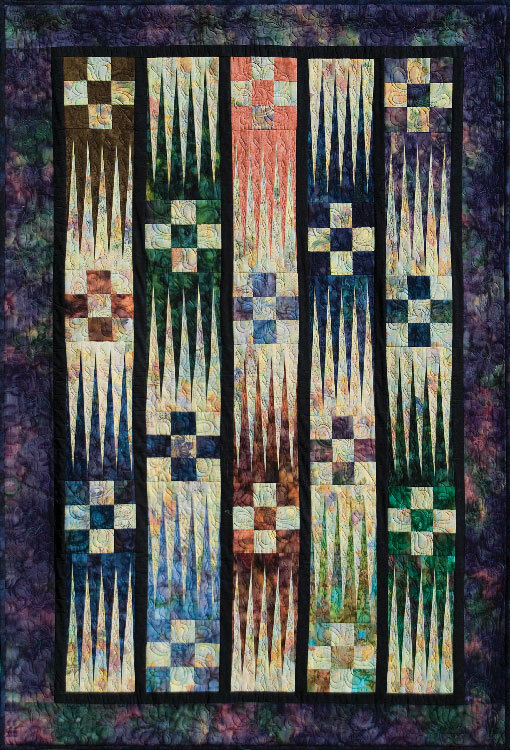 Waterfalls, Quiltworx.com, Made by Vanelle Nurse. 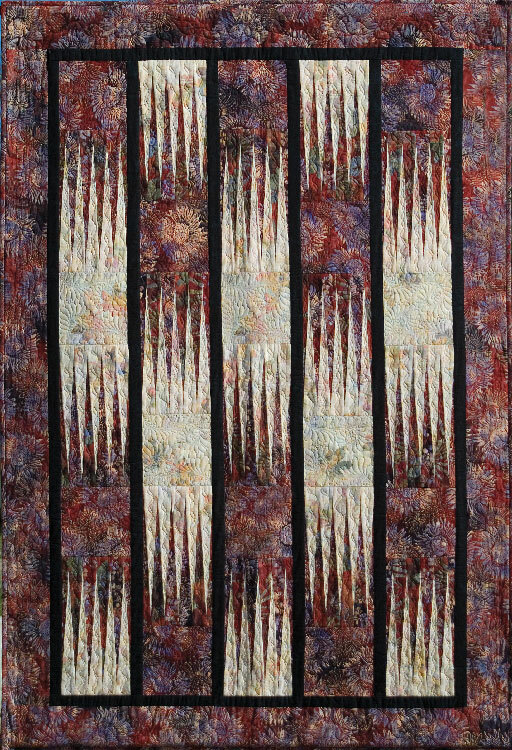 Waterfalls, Quiltworx.com, Made by CI Linda Tellesbo. Caroline Wang This Palm Beach Quilting in Melbourne? Jean Robinson Live is Oregon, Is this a paper pieced pattern? is the pattern on line for sale. Beautiful colors. Kathy Cecena Awsome so cool with all the colors I just love quilts, I still want in on the raffle. Carol Wazyniak Where Is Palm Beach Quilting? We drive up to Melbourne from Palm Beach Gardens all the time and have never heard of it!!!! Please tell! Sandy Olson Stamps Moore Beautiful! Denise Essex-Mitchell I am working on this now! 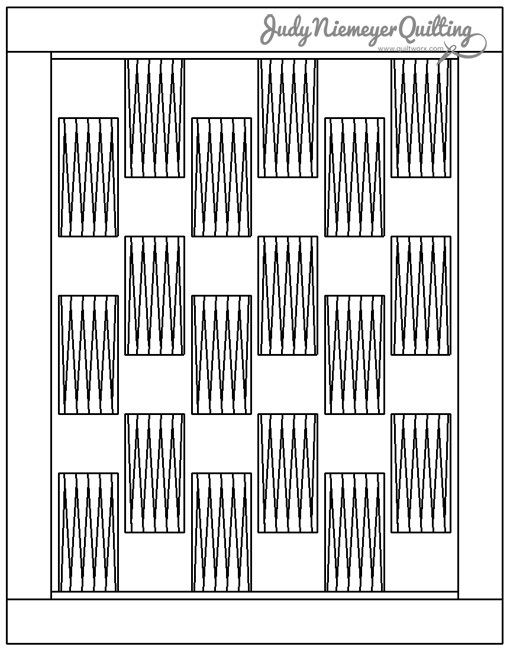 Waterfalls Line Drawing, Quiltworx.com, Made by Quiltworx.com.